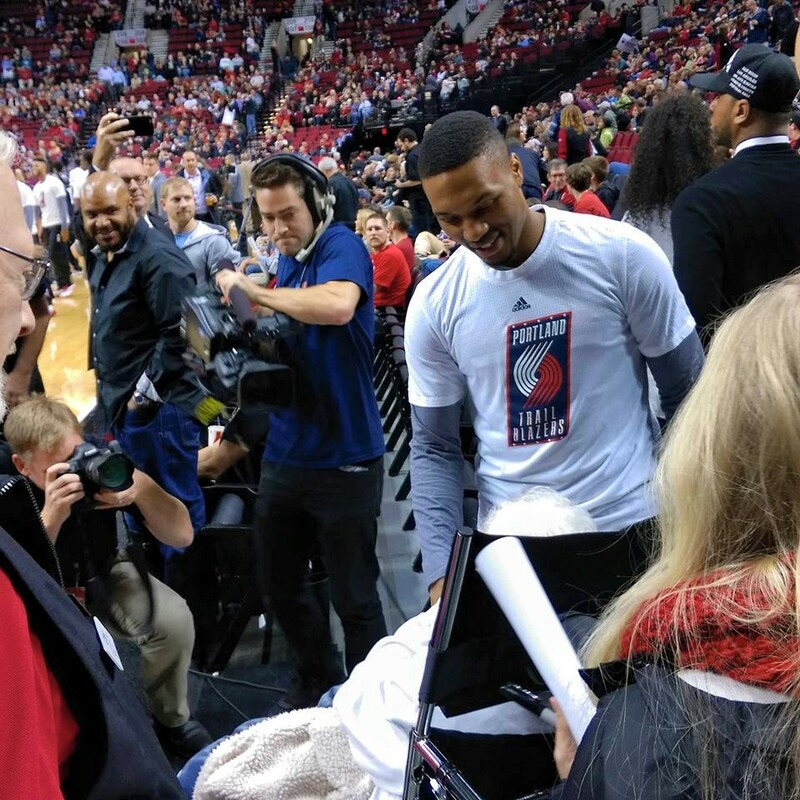 Wednesday afternoon I received a text message from one of my friends who works with Merle as well, asking me if I would be interested in attending the Blazers game with her the next night. 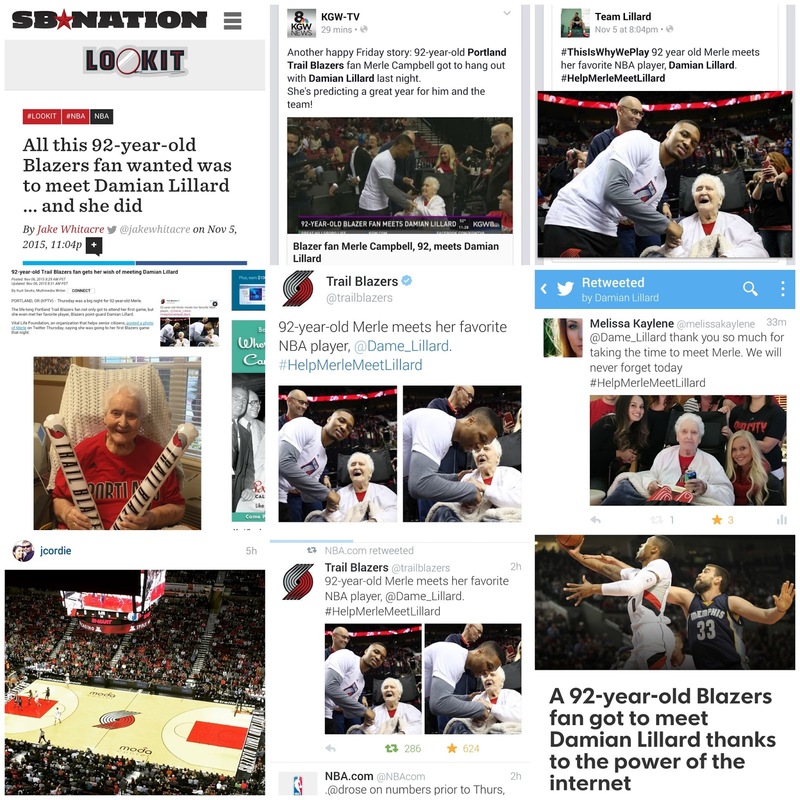 Our company has something called The Vital Life Foundation, and they knew that Merle, was a life-long Blazers fan. 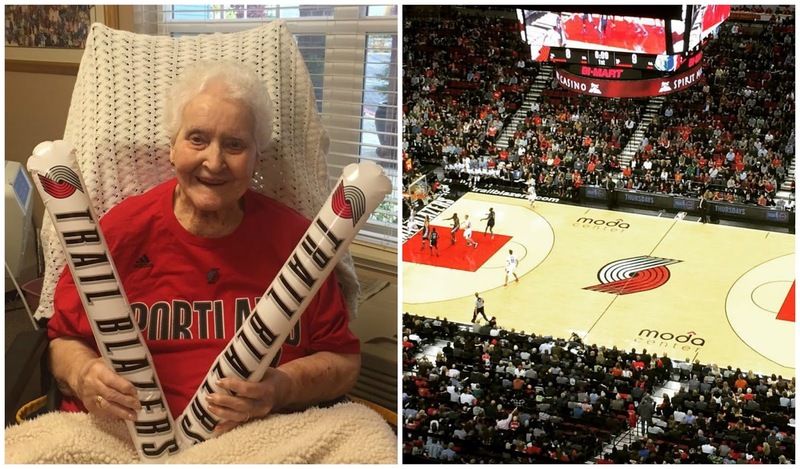 She watches all of the games on her television, but oddly enough, had never been to a live game before. Well, they changed that. The company has box seats, and had staff volunteer to go with Merle and her son. 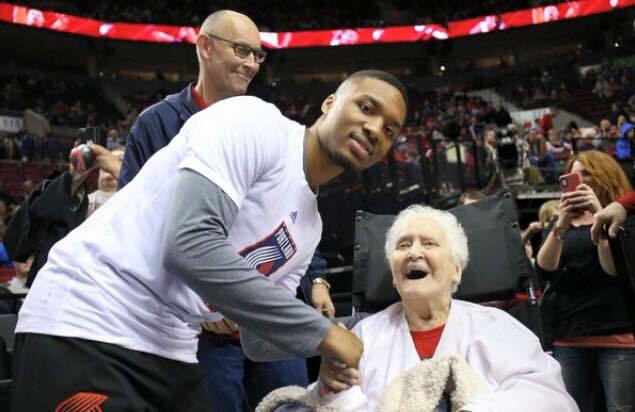 Thursday afternoon I received a text message about an idea that the company had: to help Merle meet her favorite Blazer player, Damian Lillard. All of the staff started making calls, sending messages, and sharing the hashtag #HelpMerleMeetLillard on social media. 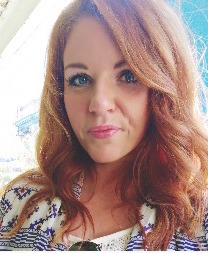 Of course I wanted to do whatever I could to help, so I took to Facebook and Twitter and started sharing like crazy. I rode with two co-workers up to the Moda center, and met Merle there. On the drive up our administrator called my co-worker: Damian wanted to meet Merle. We were so excited and happy for her, and she had no idea what was about to happen. 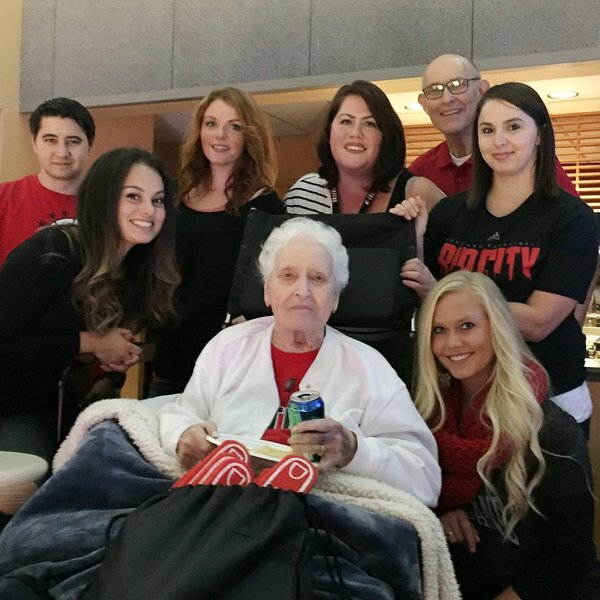 We took her into the Moda center and were escorted down to the court, 15 minutes before the game started. As we walked we told her that she was going to meet Damian, and her face lit up brighter than I could have ever imagined. He rushed over during warm ups and shook her hand and spoke with her. She told him that she prays for him, and didn’t want to let go of his hand! It was seriously a whirlwind of activity and I was trying to take as many photos as I could. Afterwards she was interviewed by our local news channel, and they aired the segment on the 11 p.m. airing. We made it back up to the box seats in time to enjoy a really fun game and Merle had the biggest smile on her face as she munched on game food and treats. I am so glad to have been part of an experience like this. Memories were definitely made last night at the Moda Center.